Fill in your details below and we will let you know within 24 hours if we can get Gen7: A Crossroads Game to you with haste! Now, just as a new command team takes control of the ship, a terrible mystery emerges that will threaten the entire mission. The commanders of Gen7 are about to discover that everything is not as it seems, and the fate of the human species will hang on the choices they make. 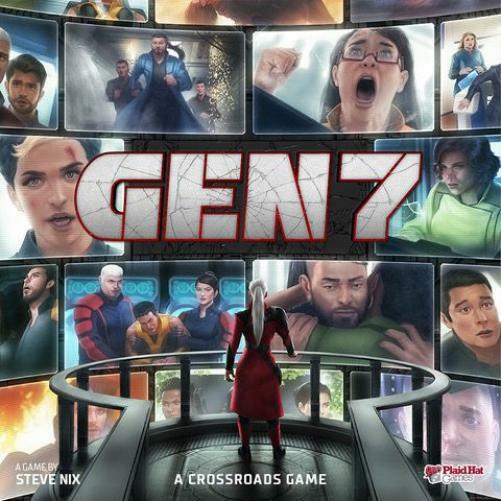 In the tradition of the award-winning Dead of Winter, Gen7: A Crossroads Game is a grand narrative game with multiple possibilities. The choices players make as they play will alter the direction of the story. Gen7 will constantly challenge its players with a variety of unique situations that force them to make difficult moral decisions. Will you compromise your integrity to ensure the safety of your crew? Will you value their lives over the safety of the mission?